If you are making your own wedding cake for your big day and want to decorate it with edible roses I found a perfect video for you on YouTube! It teaches you how to create them with Marzipan, step by step! 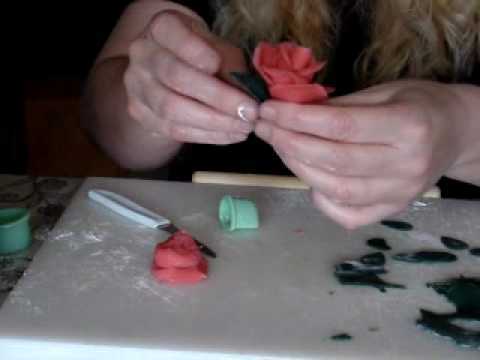 Donna (djcssp) is clearly a professional at making these beautiful sugar flowers and her video is very detailed to make creating the roses very simple, even if it’s your first time working with edible modeling clay.